…. off the upcoming EP Wet Zoo on April 1st. Don’t worry, its not a joke. You’ll be able to get some new Annuals songs then. 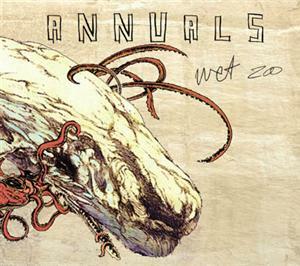 Wet Zoo is a five song EP containing 3 Annuals songs as well as the last 2 of the 5 by the band Sunfold; songs written by Annuals lead guitarist Kenny Florence. The whole EP will be streaming on AOL’s Spinner next week starting monday. Check out the lead off track Sore. That trademark huge swelling sound, this time with strings.